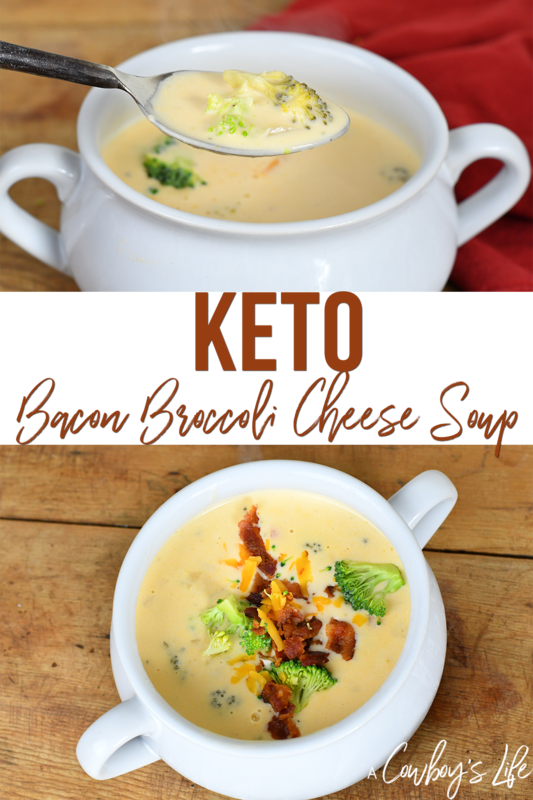 This keto bacon broccoli cheese soup is delicious and the whole family will enjoy! Perfect for these cold wintery days. Broccoli Cheese Soup is one of my favorite soups, but it’s typically high in carbs. Like everyone else, I am trying to cut back on the carbs and unnecessary ingredients. I may have cut out the carbs in this soup, but I certainly didn’t cut out any flavor! Place large pot on medium heat. Melt butter and saute garlic & onions. Cover and cook on medium high heat for 15 minutes. Continue to cook for about 2 minutes or until cheese is melted. 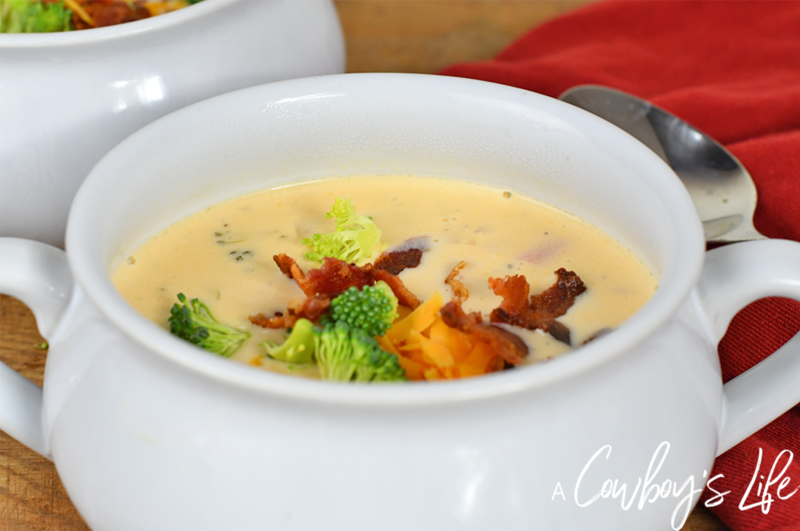 Serve and top with more cheese, broccoli and bacon. 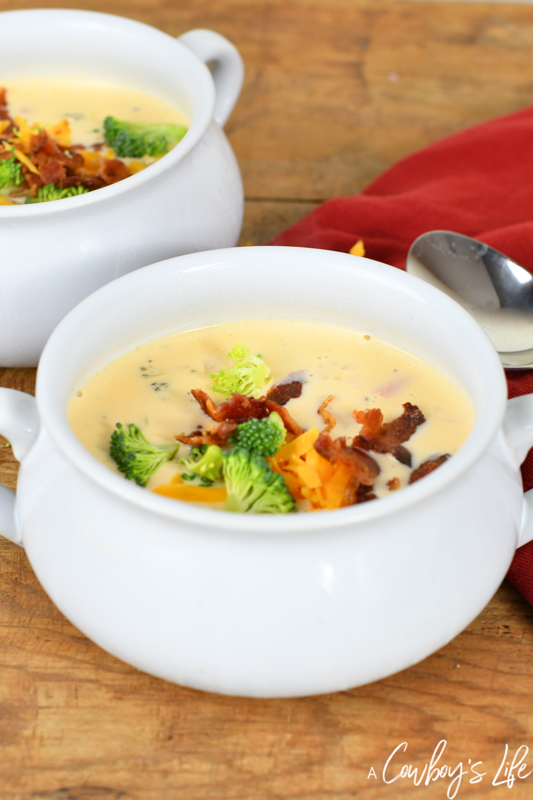 This broccoli cheese soup looks delicious! Thank you for sharing at Wonderful Wednesday. I get hungry for a hearty soup, this looks amazing! I have pinned and your post it is being featured on #omhgww this week, hope you will stop by and share again! !